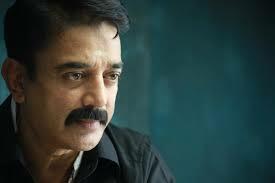 Great Actor Kamal Haasan has done better films that Papanasam, says Ganesha. Birth Time - Not Known. Rahu Ketu will be transiting through the 6th House and the 12th House in Kamal Haasan's Surya Kundli, till January 2016. Currently, he is under the influence of Jupiter return. It is aspecting his Natal Venus and Mars. After 14th July 2015, the transiting Jupiter will be aspecting Haasan's Natal Rahu. At the time of the film's release, the transiting Venus will be retrograde to his Natally retrograde Venus, and it will be giving third aspect to his Natally exalted Mars. Ganesha notes that Kamal Haasan's Natal Venus will be under the influence of transiting Jupiter as well as Saturn, at the time of his film's release. This indicates that 'Papanasam' may not be a very big hit. In fact, it is likely to do average business at the box office. Ganesha feels that Kamal Haasan's personal life too may remain quite dry for some time, specifically till 1st August 2015, as the transiting Saturn will be retrograde over his Natal Venus. During the year ahead, Kamal Hassan's chances of success as an actor and producer/director are quite average too. He should invest money wisely and carefully, says Ganesha. In short, we should neither have very high hopes from 'Papanasam' nor from Kamal Haasan (at least in the year ahead). Ganesha wishes good luck and bright future ahead to the great actor Kamal Haasan.